Danger Man. 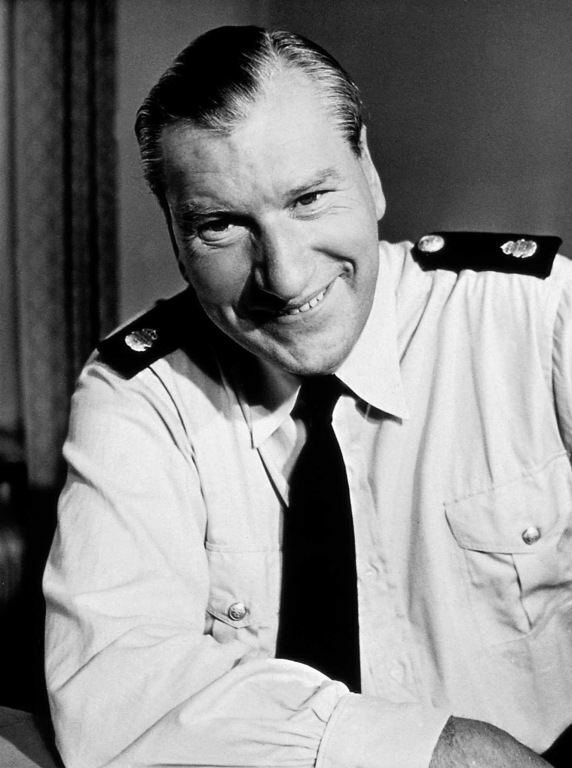 This one season (39 half-hour episodes) spy series was broadcast (in black and white) for British TV beginning September 1960, and then shown in the United States beginning April 1961. Patrick McGoohan stars as an agent for NATO named John Drake. In McGoohan’s voice over intro during the opening credits – this was two years before “Dr. No” and James Bond – he says, “My name is Drake. John Drake.” I’m not making this up. The stories are terse and pithy; they take care of business and wrap things up quickly. I enjoyed this format but other reviewers think that the endings were too rushed. In 1965, after the success of James Bond in the flickers and “The Man From U.N.C.L.E. on the tube, John Drake was revived as an agent for British intelligence in a one-hour format also called Danger Man which was also shown in both the U.K. and U.S. (in America under the title “Secret Agent"). It ran for 3 years. This second series is the one for which Johnny Rivers sang the theme song which reached #3 on the U.S. Top 40 chart in March 1966. 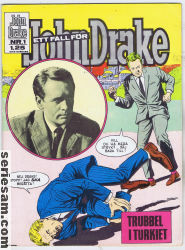 When “Secret Agent” ended, Patrick McGoohan produced a new series about a secret agent, the cult favorite “The Prisoner.” Although McGoohan’s character in “The Prisoner” is only called Number Six, many fans debate whether this show is a continuation of John Drake stories. I was born in '62, so I don't remember the show. I do remember hearing "Secret Agent Man" theme on the TV. I DO remember "The Prisoner", and thought it was cool, even though I didn't understand it much at the time. 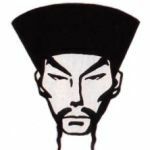 I hope to someday find time to watch the entire series of Secret Agent. It was never syndicated in my area. However, finding time is going to be difficult. I'm still working my way through Combat! at the moment. I remember both shows, and Secret Agent was IMO one of the best if not the best of the spy and international intrigue type series of its time. They played it in reruns for many years after, and it held up much better than its "rivals" (The Man From UNCLE, I Spy), seems nearly forgotten now. That it was mostly (all?) black and white probably hurt it as a syndication offering long term. Also, its episodes tended to be cerebral, as in well thought out, rather than action oriented. 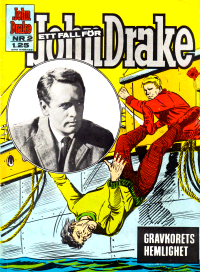 I remember re-runs in the 1970s, in Sweden we called the Ett Fall för Jim Drake = A Case for Jim Drake. I totally agree. John Drake didn't even use guns. I finished up watching DANGER MAN, in its entirety, last month. Definitely the best espionage show of the '60s -- hands down. Why? Realistic stories and spy gadgets. McGoohan is terrific. Now, hero John Drake does indeed loathe guns... 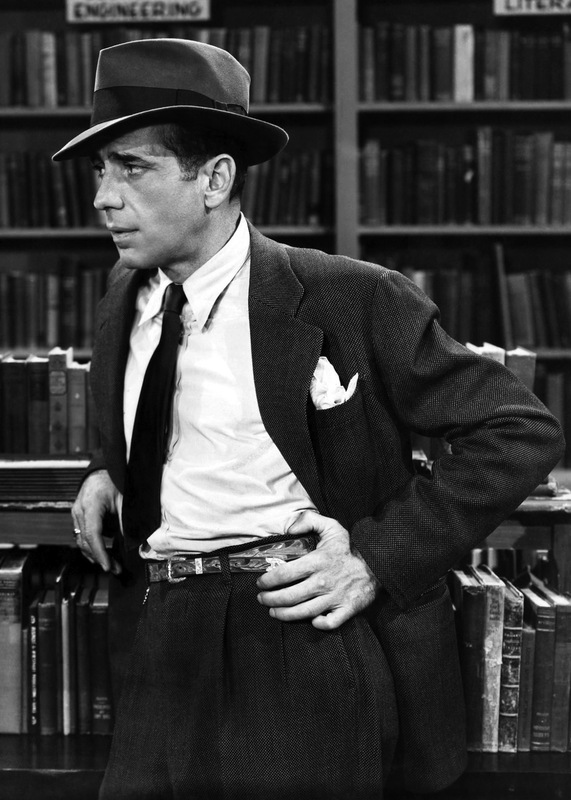 He shoots all of two people in the course of the entire series: one in the hand to disarm him, the other he kills (but only because there's absolutely no alternative; the bad guy was about to cut loose with a submachine gun at point blank range). A viewing tip: SKIP THE FIRST SEASON. These are the half-hour episodes... The stories are just too complex to tell properly in that limited time-frame, papered over with lots of voice-over narration. Also, the character/identity of Drake is radically changed beginning in Season 2. In Season 1, Drake is an American CIA agent seconded to NATO Security, working for/with the intelligence agencies of various NATO countries. In Season 2, suddenly -- inexplicably -- Drake is very British (albeit of Irish extraction), a career agent of "M9" (a stand-in for MI6). Such a radical change in continuity would never be accepted nowadays in this digital age of nitpicky fanboy followers. Don't get me wrong... The 1st season is enjoyable enough. I just don't consider it DANGER MAN canon. Watch Seasons 2-4 of DANGER MAN -- followed, of course, by McGoohan's groundbreaking THE PRISONER -- then watch the 1st season of DANGER MAN... The adventures of the American "Schizoid Man" doppelganger of the real John Drake. BTW: Right now, every episode of DANGER MAN is free to stream for Prime members on Amazon Instant Video. THE PRISONER as well (in HD)!